SchoolExams.co.uk are proud to offer free access to all Golfing4Life players studying for GCSE Maths & English. Our website will allow players to prepare in their own time and will provide an important alternative to the classroom. Our initiative with our partners at Golfing4Life aims to provide much needed academic support in these core subjects to all of its members. SchoolExams.co.uk’s active animation is an internet first. 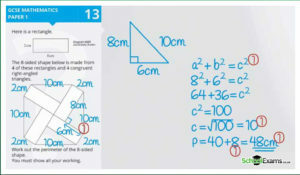 Each individual answer to exam past papers has been individually filmed and computer animated for maximum clarity and engagement. SchoolExams.co.uk understands how crucial time management is for an elite sportsman, and how difficult it can be to keep on top of their schoolwork. Now they will be able to access unique online material at their own convenience, from their smartphones, tablets and laptops. Never before has educational support been so accessible!